British aviation buffs take note: The UK’s flagship carrier British Airways is resuscitating a Boeing 747 aircraft with the colours and logo of its predecessor, British Overseas Airways Corporation (BOAC), to mark its centennial anniversary this year. Travelers who flew BOAC between the years 1964-1974 may recognise the livery, which will return to the skies and relive its glory days beginning next month. 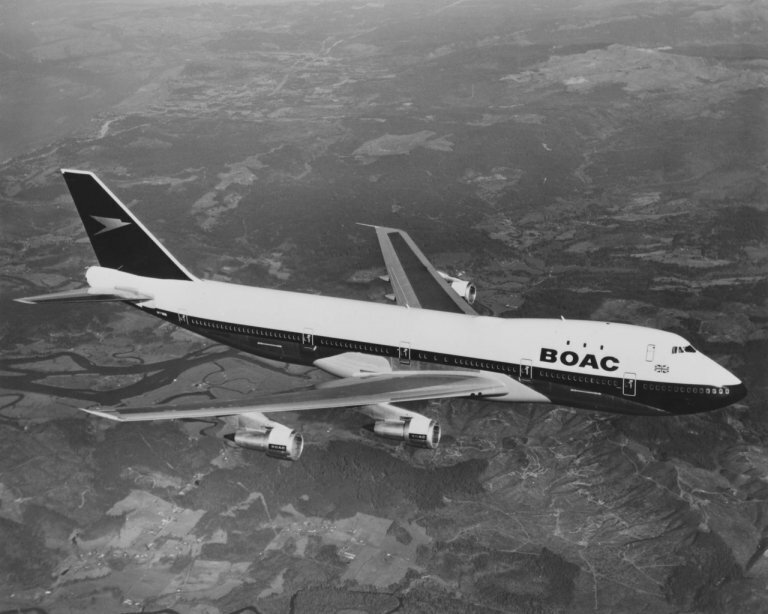 The BOAC 747 is the first of several retro liveries that will be brought back from the boneyard as part of the airline’s 100th anniversary celebrations throughout the year. It will continue flying until retirement in 2023, by which time BA will have retired the majority of its 747 fleet. As part of the year-long celebrations, the airline is also selling 100 flights for £100 each way for long-haul destinations in the US, Africa and South America. The sale starts at noon local UK time and is first come, first serve. In the summer of 1919, BA debuted as Aircraft Transport and Travel Limited (AT&T), launching the world’s first daily international scheduled air service between London and Paris. British Airways as it’s known today was born in 1974.